While having an emergency fund is certainly important, it doesn’t really mean much if your family lack the essential supplies to ride out during a storm recovery. I wanted to send out a reminder to grab supplies BEFORE a storm or emergencies happens. According to sites like FEMA and the Red Cross, there some vital supplies that you need to have to be prepared for a storm. If you don’t have the supplies and a storm or another emergency is coming, please consider evacuating temporarily. 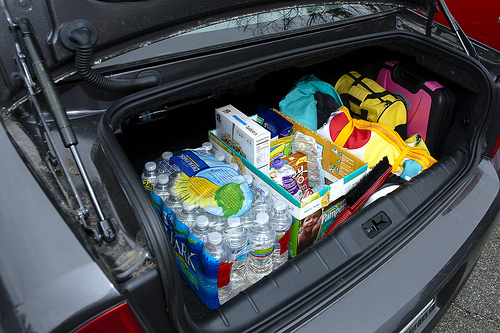 You really don’t want to be stuck without the essentials, especially if you have kids. I’d love to hear from you and how prepared you are for emergencies. What do you have in your supply kit? What do you need to grab to complete your bag?